Turn this circus into an act of sideshow freaks when you purchase the Siamese Clown Over Head Halloween Mask. 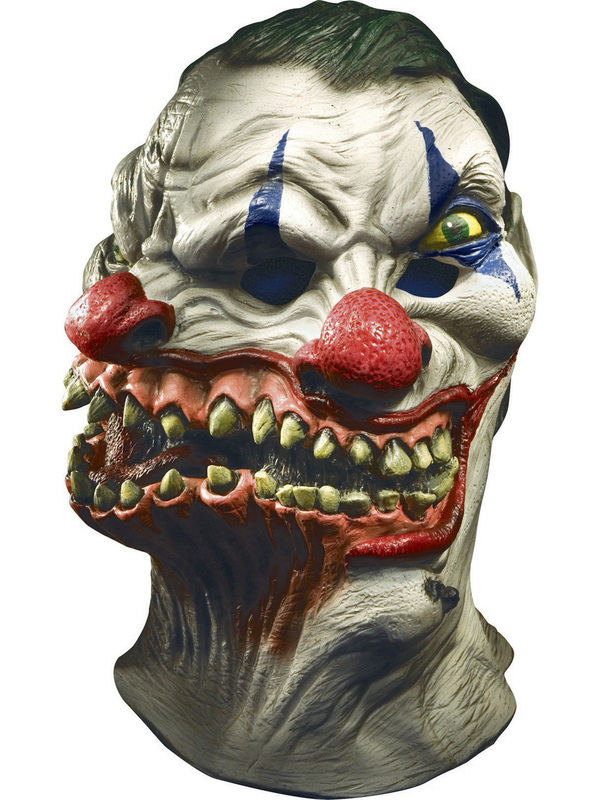 This full face mask features white face paint along with other clown makeup all over. The mask features a Siamese twin face, so there are two faces on the mask giving it a creepy look. Two set of eyes, two red noses, and a very large and connected mouth with gross teeth. There's every reason to be scared of clowns when they look like this. Steal the show this Halloween with this set.